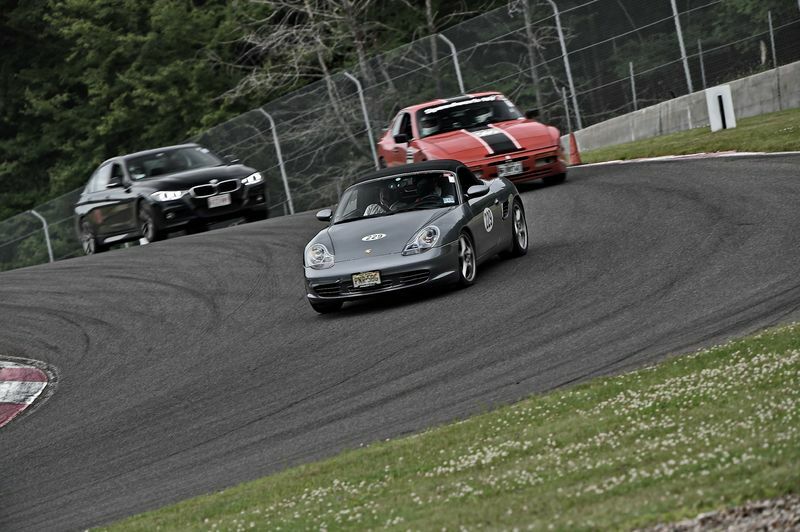 Last weekend I did the NNJR/NE Region 3 day HPDE at Mont Tremblant. I had a great time and they had a professional photographer taking pictures at various turns over the 3 days, so I got some great pictures of my car. And the great thing about the pictures is they look like I am in the lead, not about to give pass signals at the next passing zone! Looking good, leading the pack! That's how I like to.look at it too! No video, sorry. I'm trying to pace myself on the slippery slope! Plus I would have to do a lot of editing to eliminate all my errors and curse words! Glad you had fun on my home track! I only arrived on Monday morning but there was still a few of your group pulling out. 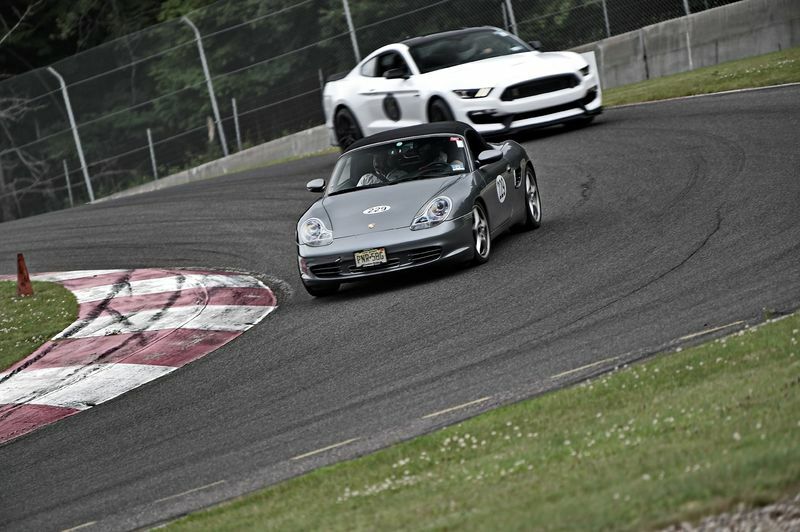 Interesting to see that you were running with non-Porsche cars as well. My home group doesn't allow that. On Monday and Tuesday we had great weather as well. Never believe the forecasts! Hope to meet up with you at a similar event, maybe next year! Great pix! Really amazing! I like the second and the third most of all. Thanks, if the NNJR/NE PCA regions have the joint event next year, I'll be back. The 2 tracks NNJR held events that I attended last year, Mosport and Palmer, were not repeated by NNJR this year. Mosport due to date conflicts and Palmer due to lack of club member interest. I want to go back to places I've been to so I can see if anything sticks from year to year. Since I'm only doing a few events each year I also want to stick with my region, NNJR, so I get to know some of the folks in the club. 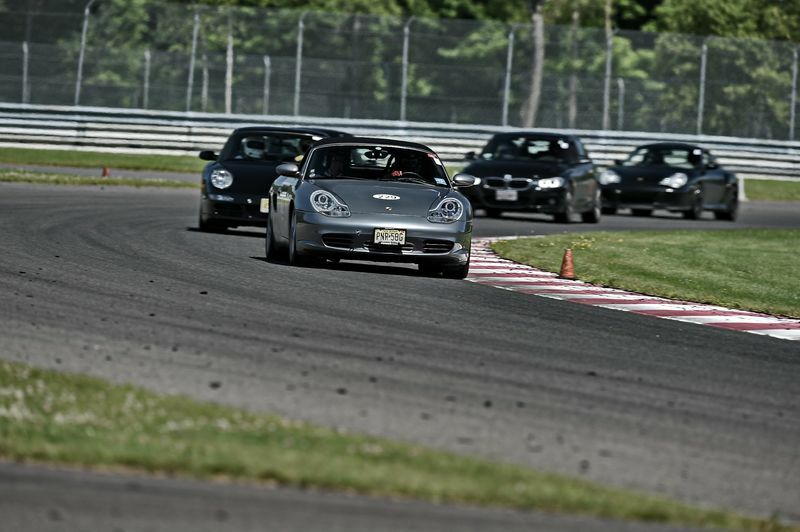 It seems that there are a bunch of Porsche club members who bring cars other than Porsches to the events. The NNJR events are also open to non-chapter and non-PCA members who pay a slightly higher registration fee. The white Mustang was a brand new Shelby 350 GT, it was the driver's very first HPDE. 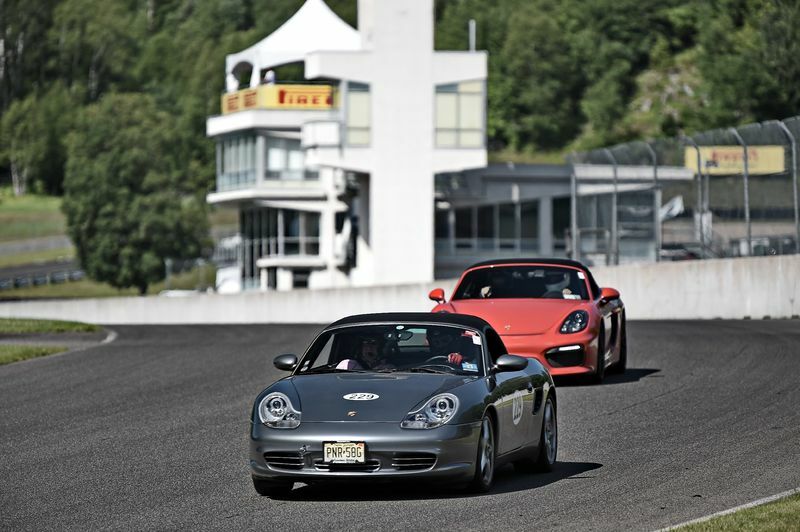 The red 981 Boxster is a Spyder with a 3.8 liter engine. Another nice thing about Mont Tremblant is that it is right in a ski resort. In this picture you can see the ski runs too! 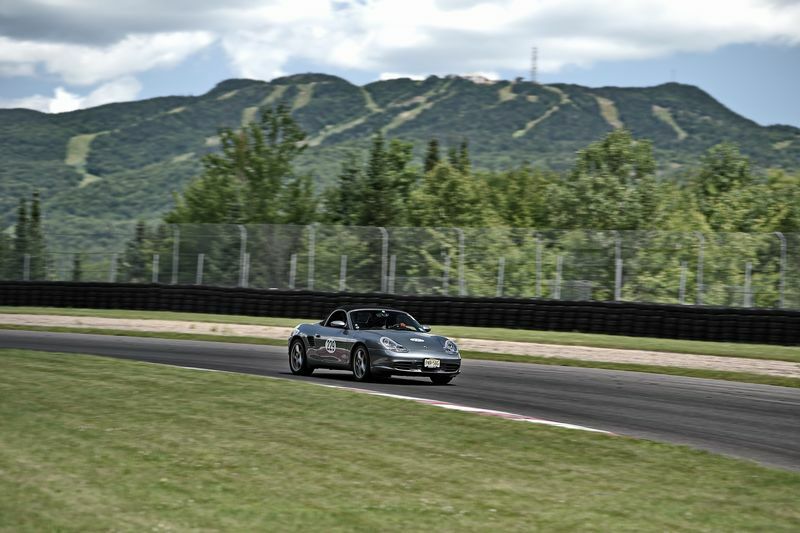 I was at Mont Tremblant summit yesterday and you could hear the cars running on the track from up there! Wouldn't mind spectating tomorrow.